I do a lot of things to stave off winter depression. I walk. I spend time in nature. I spend time walking in nature. I move in other ways—taiji, lifting, stretching, running, parkour. I use my HappyLight™. I take vitamin D. But probably most important is finding things to take delight in. Jackie doesn’t suffer with the dark days of winter the way I do, which is probably a matter of brain chemistry, but perhaps another factor is that she is very good at taking delight in winter as an opportunity to wear her woollies. I’m trying to do the same. It helps that I have new winter clothes, and old winter clothes that fit again. 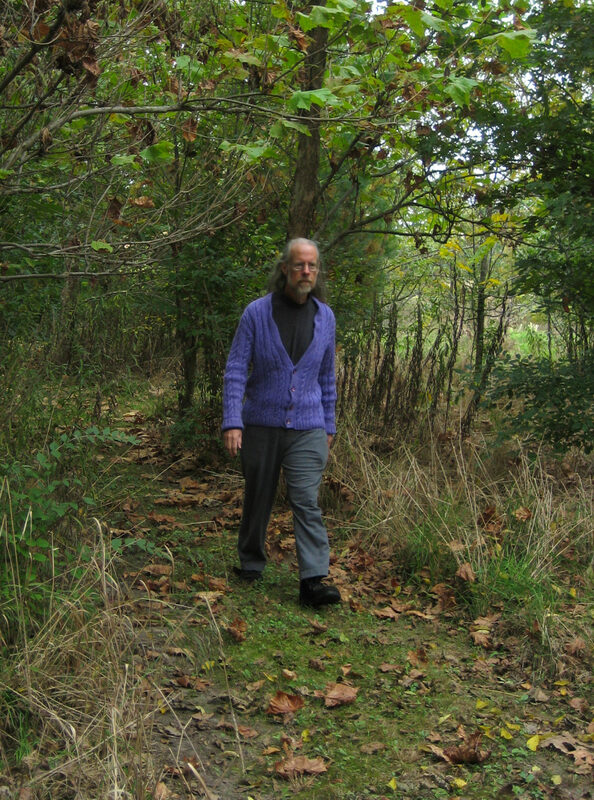 The photo on this page shows me walking in nature, wearing a purple sweater my mom knit for me years ago. This year, I’ll try to take delight in my seasonally appropriate garments, especially the woollies, and see if that won’t carry me through to spring. Sorry! Wooly bears are great for fighting depression. Love the purple sweater! I could take delight in that for sure… I am feeling the veil descending and practicing lots of mindfulness activities, and getting outside as much as possible to enjoy what light we have!